ATS Euromaster boasts a wide range of Toyota tyres at competitive prices. 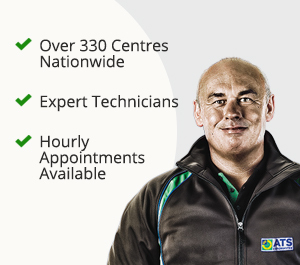 With over 330 centres nationwide and a convenient mobile tyre fitting service, you can choose a fitting option to suit you. 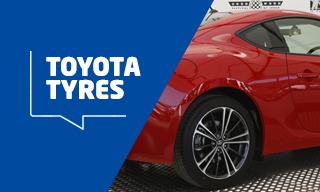 At ATS Euromaster we stock a variety of tyres that will suit a whole range of Toyota models and suit almost any driving style. The Toyota Yaris has become one of the most popular models in the Japanese manufacturer's range since its launch in 1999. The super-mini is fitted with Dunlop SP Sport 2000 tyres as standard. The pattern is favoured for its silica compound that improves braking, cornering and handling in most weather conditions, as well as limiting rolling resistance, which can help enhance fuel economy. A wide range of replacement options are available on the market, with the Goodyear GT-2, the Michelin Energy Saver and the Continental ContiPremiumContact 5 all helping to get the best performance out of the vehicle. The Toyota Avensis is a more luxury model in the manufacturer's range and is equipped to offer an excellent family car. The Bridgestone ER30 pattern is fitted to the vehicle as standard, but there are a host of other options available. The Michelin Pilot Sport 4 pattern and the Pirelli P6000 Powergy both offer a suitable alternative when it comes to Toyota Avensis tyres. The latter is a specialised high performance summer tyre, providing a combination of a sporty appearance, predictable handling and H- or V-speed rated durability along with dry and wet traction. Dunlop's Sport Maxx RTalso provides a great alternative thanks to its enhanced cornering control, shorter braking at motorway speeds and fuel efficient design.